The DURABIT range of Paper Drill Bits has been developed, using the latest technology to give optimum drilling performance and life for producing round holes in a wide range of papers, boards and laminates. 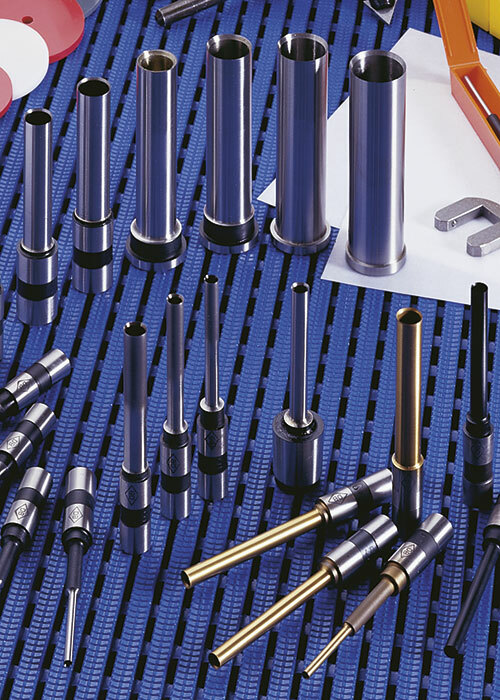 Paper Drill Bits suit a large range of paper drilling machines.The external diameter of the Paper Drill Bits can be matched to the size of the required hole. Paper Drill Bits are suitable for use on manual, semi-automatic and automatic drilling machines including single and multi-headed drills. 13 different drill styles which suit most of the paper drilling machines in the market place. OEM specifications in terms of size and material are used for the production of Paper Drill Bits. Paper Drill Bits are manufactured in both metric and imperial measurements according to the origin of the machine and market. Paper Drill Bits are available with external diameters to produce holes in dimensions from 2.0mm to 22mm. Paper Drill Bit standard quality: HSS steel – Suitable for use on 90% of all drilling applications. Tungsten Carbide Detonation – A long life coating suitable for drilling heavy board or recycled papers. The deposit of the Tungsten Carbide on the outside of the drill helps to reduce wear and the cutting edge remains sharp for a longer time. Teflon Coating – Reduces frictional heat build-up when drilling light plastic laminated work. The Teflon acts as a lubrication on the surface of the drill which reduces melting of the plastic due to friction heat reduction when the Paper Drill passes through the laminate. Titanium Coating – The ultimate hard wearing drills suitable for heavy boards, recycled papers and laminated materials. The coating of Titanium is both hard wearing and resists frictional heat build-up. DURABIT Paper Punches are also available in a range of sizes to suit paper punching applications. Both outside and inside diameters are treated with a special abrasive compound giving a smooth finished surface. This helps to reduce resistance as the drill passes through the paper and also assists the drilled waste to pass up through the centre of the drill stem. Razor sharp finished cutting edge and wax coated for protection until the drill is required for use. Diameter of the drill is clearly etched on the Drill Collar. The following table lists specifications and sizes available in all 13 Paper Drill Bits styles.